Going to social events is always fun, but it’s even more fun when the event is tailored to be dog-friendly! 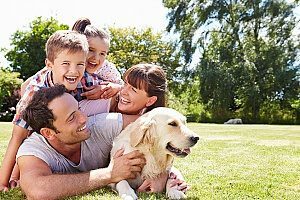 Each of these events are designed specifically for you to be able to enjoy them with your dog and to connect you with other dog-lovers. Not only are these events meant to bring like-minded people and pets together, but they also offer new and fun experiences! From shopping with your dog to pampering them, and even to take an evening cruise with them, you’re sure to find one of these top dog friendly social events in Northern Virginia, in alphabetical order, to your liking! This is a cruise around Lake Accotink that is specially designed for you to enjoy with your dog. While on Park’s pontoon tour boat, you will be able to watch for waterfowl such as ducks, geese, and herons. The park has also been known to have quite a few resident eagles that you might be able to see. For a full hour, you will be able to enjoy being on the water with your dog taking in the beauty of Lake Accotink, while also getting to enjoy the company of other dogs and dog-lovers. The cruise lasts for one hour and is $7 per person. There is a limit of one dog per person and you must register for the event in advance, which can easily be done at fairfaxcounty.gov. They ask that your dog is leashed at all times, be wearing a visible legal dog license, and be vaccinated and well-socialized around other dogs and people. If you’re looking for a place where you can let your dog off their leash, then Dog Days of Summer is it. The Pavilion is transformed into an off-leash play area for your dog each week. Treats, toys, pet-friendly giveaways and more are always available and keep the event interesting week to week. This is a great chance to relax and allow you and your dog to socialize. 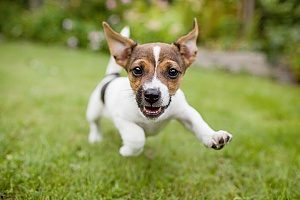 There aren’t many areas in Fairfax County where leash laws aren’t enforced, so this is a great opportunity to let your dog roam free in a new and exciting environment. The event is completely free and can easily become part of your summer routine. 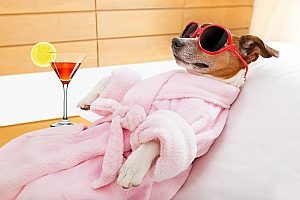 Salon deZEN is hosting an event that is sure to make your dog feel like a superstar. You will be able to walk the red carpet with your dog, shop for grooming products for both you and your dog, enjoy drinks and appetizers, and every dog in attendance will receive a swag bag. The event is being run with the local pet store the Dog Park, who will be there with tons of treats for your pup. There will also be a local artist in attendance who will paint pet portraits and take commissions. The event is completely free, but the hosts do ask that you RSVP either through Facebook or Eventbrite so they can gauge how many dog-lovers will be in attendance. This is a fundraising and community outreach event that will feature competitive events for your dog to enter, food, entertainment, and demonstrations. There are eight events that are open to all vaccinated dogs over 6 months old (proof of vaccination is required prior to entry) which include a walking course, rocket recall, waiting game, retrieval, competitive focus, obstacle course, urban environment, and relay race. There are other events which include best trick, best dressed, and a puppy course for dogs under 6 months of age. At 2 pm there will be an Awards Ceremony that will honor dogs who place 1st, 2nd, and 3rd in the events. The cost of the event is $25 for competitor dog team, $5 per person, and $10 per family. There is also a dog-free area available. There will be demonstrations by dog trainers and service dogs for you to enjoy. Even if you’re not entering your doing into any of the competitions, the event is sure to be a fun time for you and your dog. Wags N’ Whiskers is a community-oriented event for animal-loving shoppers and their pets to spend an afternoon hanging out at The Village at Shirlington. This is the 11th year the event will be hosted and will feature 65+ onsite exhibitors ranging from pet services and accessories to onsite adoptions. With that many exhibitors, you are bound to spend the entire day engrossed in with what each one has to offer. The event isn’t just focused on shopping either, it will feature pet photos, live music, face painting, balloon art, strolling entertainment and more. Plus, the best part is you get to experience it all with your dog at your side! Yappy Hour is the dog version of Happy Hour. You can bring your dog with you to the sport’s bar Quinn’s on the Corner. Your dog will get a free treat or dog ice cream, and you will be able to enjoy $10 snack baskets which include double dipped wings, mini burgers, chicken quesadilla, or a jumbo pretzel, as well as drink specials. This is a dog-friendly event that is completely free to attend, but you may find yourself splurging on the delicious food and drinks offered! The great thing about this event is that it’s not a one-time thing. They offer Yappy hour several days throughout the year so if you enjoy yourself make sure to stop by again!